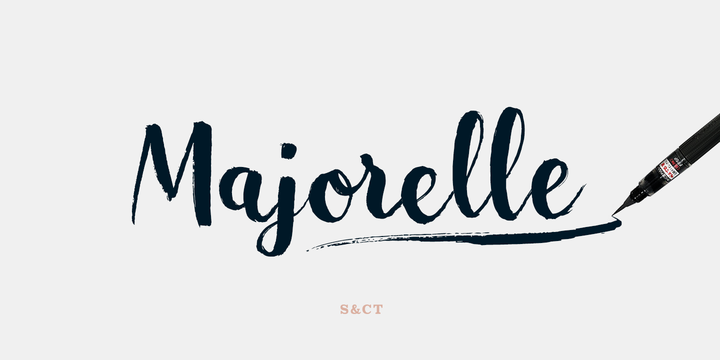 Majorelle is a handwritting typeface created by Fanny Coulez together with Julien Saurin and published by S&C Type which is available in two styles, alternate characters, OpenType ligatures, handpointed ornaments and real brush texture. With a warm and informal touch it can be use for any kind of project such as headline, magazine, wedding purpose etc. Also can be mixed with other S&C Type‘s fonts. Have fun! Price: both fonts for only $18,00. A font description published on Thursday, November 9th, 2017 in Fanny Coulez, Fonts, S&C Type by Alexandra that has 1,451 views.